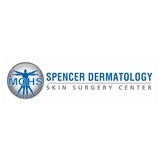 Spencer Dermatology & Skin Surgery Center (St. Petersburg) - Book Appointment Online! Our Center is dedicated to providing the highest quality of dermatologic care for the people of the Tampa Bay area. We are a private medical practice dedicated to the prevention, detection, and treatment of skin cancer and to the cosmetic treatment fo the skin through cosmetic dermatology and laser surgery. An additional area of expertise is Acne and psoriasis with the latest treatments offered. On-site Cosmetic Nurse offers a wealth of options to treat various skin conditions such as brown spots, capillaries, Fractora and Fractora Firm, Coolsculpting and leg veins as well as offering quality skin care products. Kaitlyn was super relatable and extremely accommodating! Definitely will be back for other services!